During the days of the seminar organizing committee will arrange buses from Chernogolovka to Usad'ba Country Club (in the morning from Main Administrative Building of IPCP («Корпус общего назначения» in Russian)) and back (in the evening from Usadba gates). 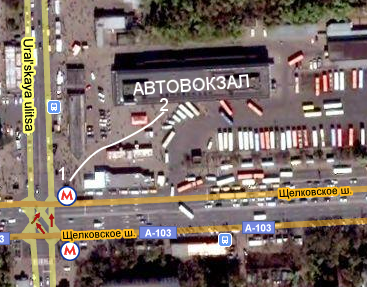 You can get to Chernogolovka from Schelkovsky Bus Station. At SHCHELKOVSKAYA station take the exit near the head of the train, go upstairs, take right, and then go upstairs again on your left (now you will be at the point marked as 1 on the map below). Then go to the Bus Station (point 2 on the map). The Bus Station (АВТОВОКЗАЛ). Take a bus 320 (timetable) or 360 (timetable) to Chernogolovka from the platform close to the Bus Station entrance. You buy a ticket from the driver (90 rubles). 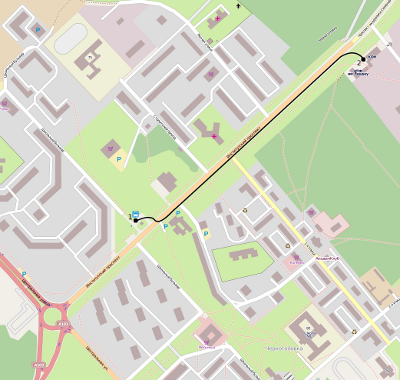 It takes nearly an hour to get to Chernogolovka from Shchelkovskaya. 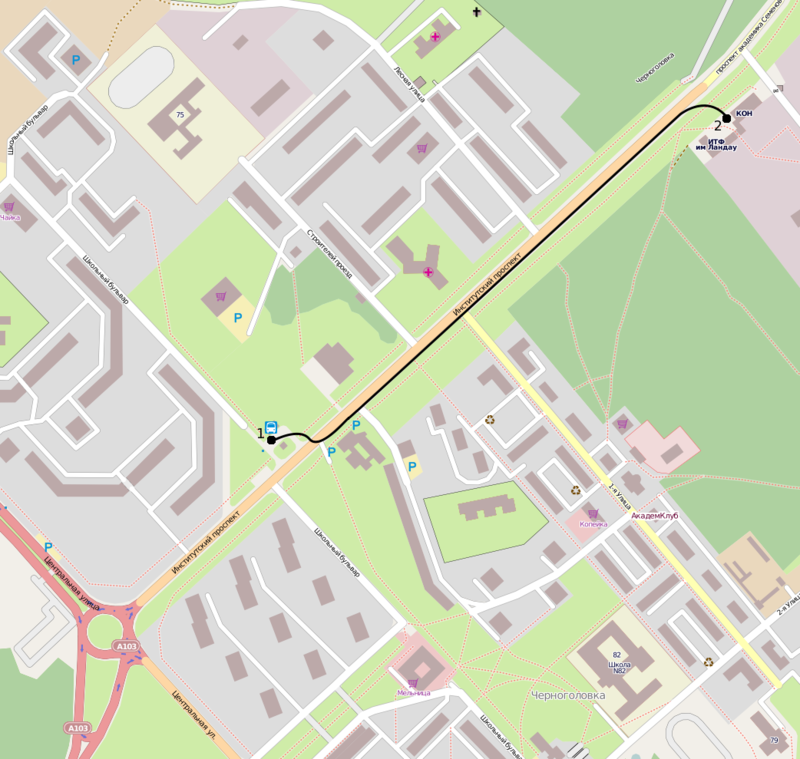 After you arrive in Chernogolovka please use the following map to get to the Main Administrative Building of IPCP («Корпус общего назначения» in Russian). The point marked as 1 is the place of your arrival and point marked as 2 is the Main Administrative Building of IPCP («Корпус общего назначения» in Russian). Also you can get to Usad'ba Country Club from Moscow or Chernogolovka using taxi. Usad'ba Country Club is located at 43 km of Schelkovskoe highway, please refer to the map for driving directions.